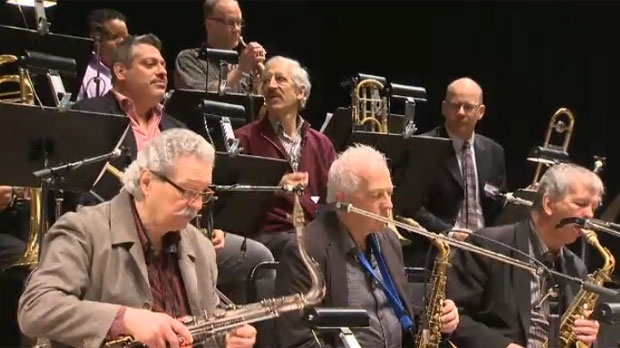 The Vanguard Jazz Orchestra came from New York to impart their decades of music experience to young students in Calgary. 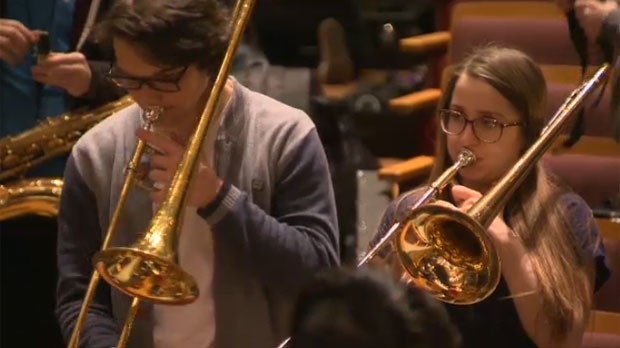 It all started with a concert by the orchestra for 1200 students at the Jack Singer Concert Hall on Wednesday, followed by a full day of learning. It’s a big deal for the young musicians, as the orchestra is one of the most influential big bands in contemporary jazz. The Calgary Association for the Development of Music Education, or CADME, was founded in 2003 with the mandate of enhancing music education programs in schools. You can learn more about them here. Students warming up before they play with the orchestra. Some members of the Vanguard Jazz Orchestra preparing to play.